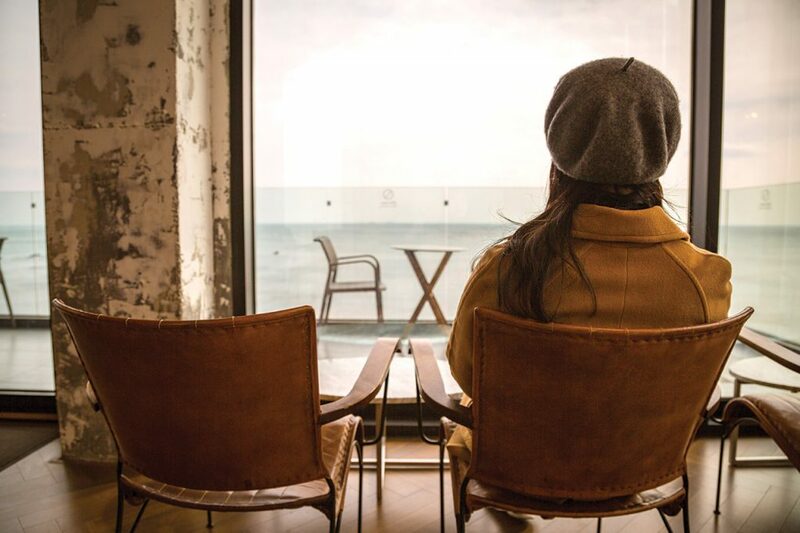 While the idea of spending a cold winter’s day on the coast may not sound like a good time, Gijang has a lot to offer, from hearty seafood dishes to keep you full and trendy cafés to relax in to the tons of warm smiles from the local people. Gijang is an area that is slowly becoming one of the region’s fastest growing spots thanks to its spectacular views and great food. 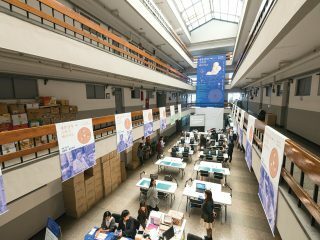 If you are arriving by train, then you are in a prime location to check out the Gijang Market. Once leaving the station, it is a short walk up to the market. 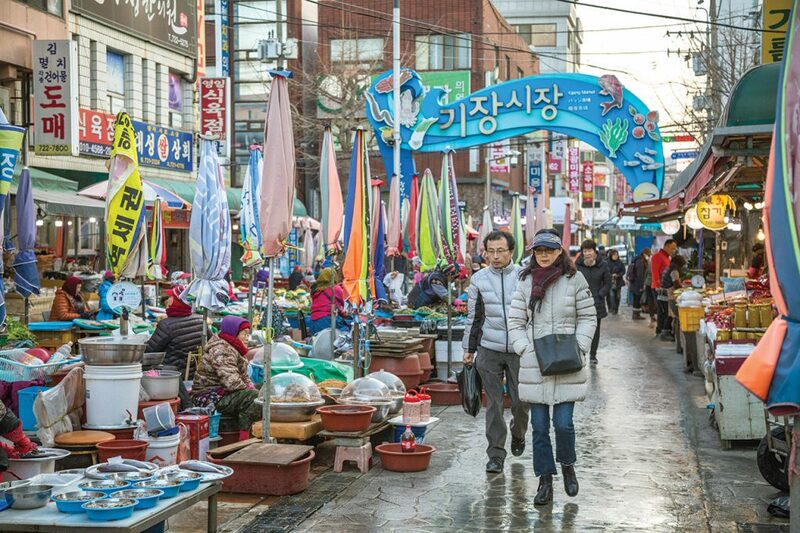 This large and mostly outdoor market is widely known for its snow crab and fresh seafood. In years gone by the market had a large variety of delectables, but the popularity of the crab has brought in many tourists. During the weekend, the market gets really busy with people from all over coming to check out the catch of the day. However, if you want to find the freshest of the fresh you have to head down to the seaside village of Daebyeon. This quaint village is famous for anchovies, but you can find just about anything from the sea there. 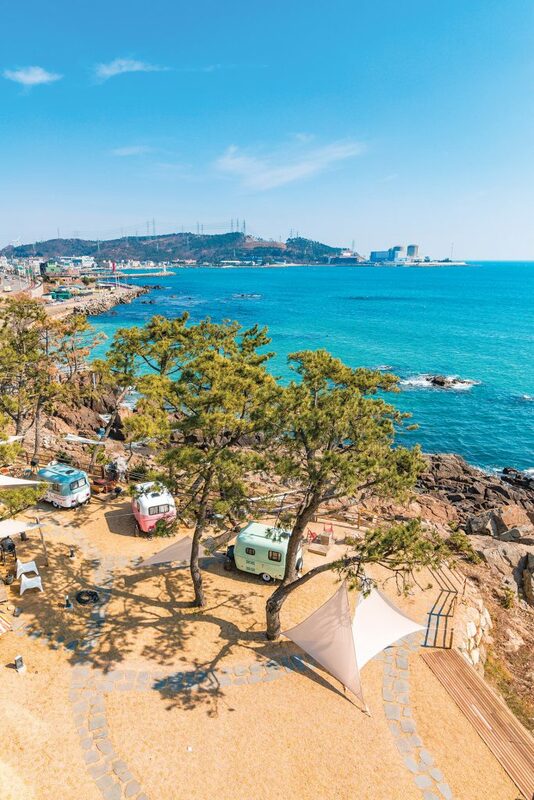 What makes Daebyeon great is that you can eat right on the coast in one of the many tents that line the street through the village. Just a few meters away from your table, the ships come and unload their catches. It does not get any fresher than that. The local favourite is located just on the other side of the post, in Yeonhwa-ri. They have dedicated a whole area to the pojang macha tents, and the seafood is on another level. This is a great spot to try the abalone rice porridge and fresh raw octopus. 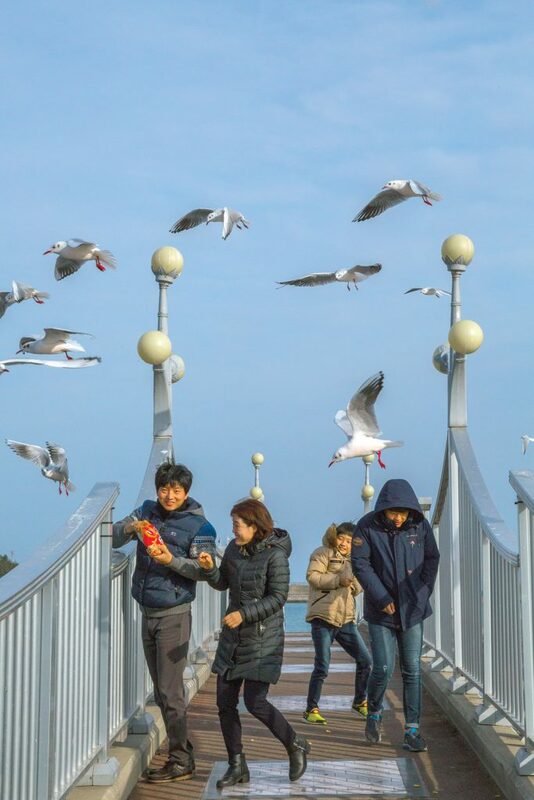 These tents serve up some great food that will keep you warm as you explore the seaside village and feed the seagulls at Juk-do island. What has really put the seaside villages on the map have been the numerous cafés that have popped up along the coast. 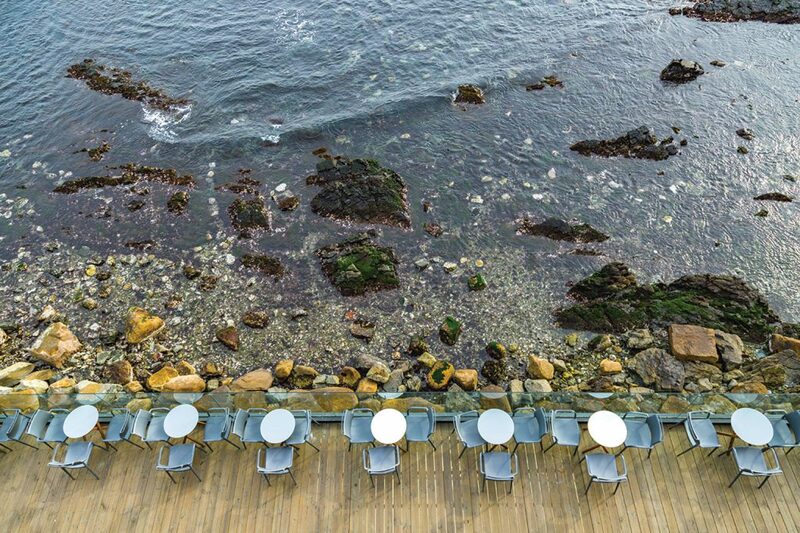 These cafés offer unobstructed views of the sea, great design and amazing pastries. One of the most popular cafés has to be Wave On Café. Located just up from Daebyeon, this café has one of the most unique designs in the area. While the outdoor seating and rooftop may not be the best choice for a winter excursion, the open-concept interior will offer shelter from the chill. This is a very popular spot, especially on the weekends boasting live music lineups that rival some of the hotspots in Seoul. Not too far from Wave On is another amazing café more suited for staying warm in the winter. Café Greetvi is massive café with some amazing pastries baked on the premises. Much like the other cafés, Greetvi offers a great view of the sea, an open rooftop and an outdoor patio. However, the interior design really sets this café apart. 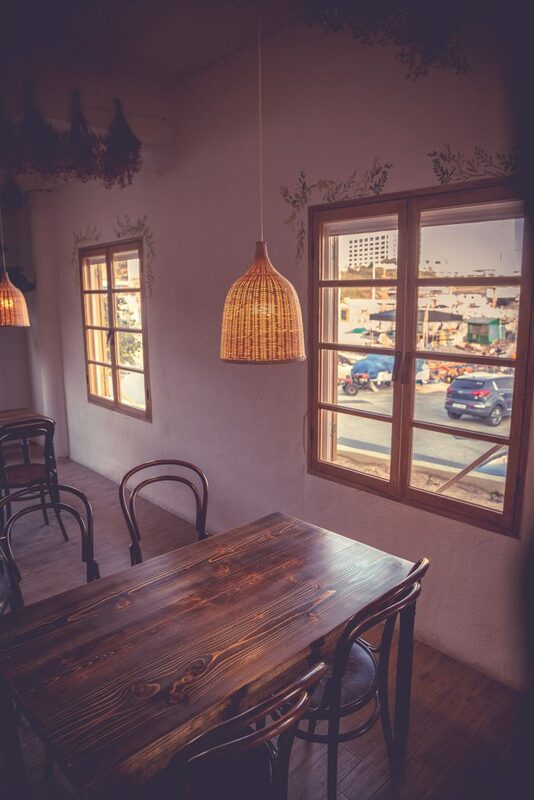 With style and taste, Greetvi offers a very comfortable atmosphere, but like the other seaside cafés, it suffers from their popularity. If the crowds scare you off, Fred will surely keep you safe. This pet-friendly café is as charming as it is comfortable. It is a “no-kid zone,” so please be aware of that if you are traveling with the family. The reason for this probably has something to do with Becky and Seol, the cafés resident canines. The dogs are amazingly calm as they rarely bark and wander around to greet the customers. This café has almost a Santorini feel to it and is exceptionally comfortable. The lack of children may throw some visitors off, but it also does add a bit of peace and quiet for others. The top floor opens onto a rooftop terrace that seems more fit for a hillside in a warmer climate than a cold afternoon in Korea, but the interior is quite warm and inviting. It is also just a stone’s throw away from the new Hilton Hotel and Yonggungsa Temple. The Gijang area is best toured by car, but buses and trains stop regularly at various points along the way. Having a car out here just makes travel a lot easier and warmer. By far, the coastal road is one not to miss as there are a lot of great sites to see. 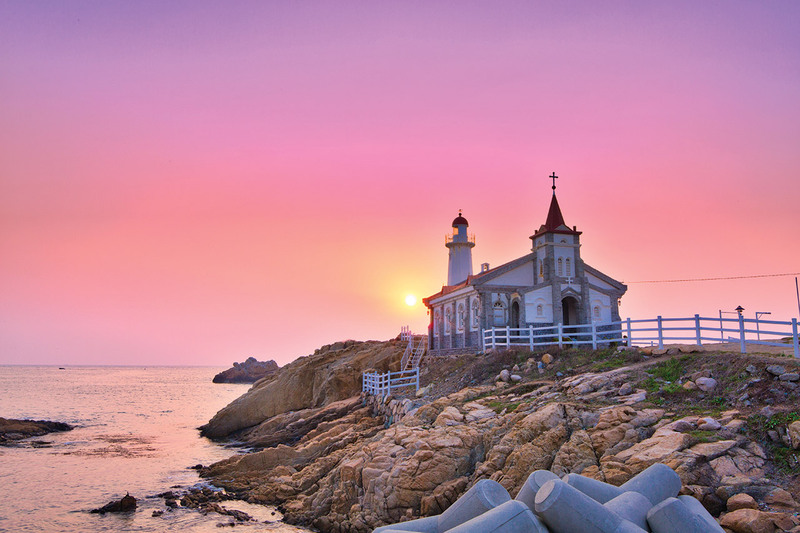 One of the more unusual spots in the area is the Jukseong Dream Church. The church is not a functioning church but a drama set. It was built in the early 2000s for the SBS drama “Dream” and has now become a tourist destination. The sunrise is arguably the best time to get a good picture of the church. This is when you will see a lot of photographers lined up along the narrow country road trying to recreate the photos that put this spot on the map. Down the road past Daebyeon Port is another interesting structure. Located on a rocky outcropping, this temple of sorts is a one of the smallest you’ll see but is host to many rituals in the mornings. It is another great spot to catch the sunrise. One of the more interesting things to see along the coast are the themed lighthouses. If you have a sharp eye, in Daebyeon you will see one of the lighthouses commemorating the 2002 World Cup. Further down the road in Yeongsang-ri, you can find another shaped like a baby bottle. These lighthouses have become tourist spots especially for those wanting to have a baby. Many are easily accessible and your can walk right up and just take in the breathtaking sea views. If you were not impressed with the Gijang market, then surely the ever-growing Busan Premium Outlet Mall might be more to your taste. Boasting major brands, this is one of the go-to spots for many in Busan and Ulsan. The popularity of this mall can be quite staggering at times. Often traffic is quite bad just getting into the mall. Fortunately, Lotte has stepped up and built their own outlet mall on the other side of Gijang, just behind Yonggungsa. Both of these malls offer great deals on popular brands in a more Western-style shopping mall environment. Buses and shuttles leave there regularly so you can get your shopping fix easily. STAY> Gijang has a number of affordable places or motels that a budget-minded traveler can choose from. Also there are a number of hotels located around Yeonhwa-ri. 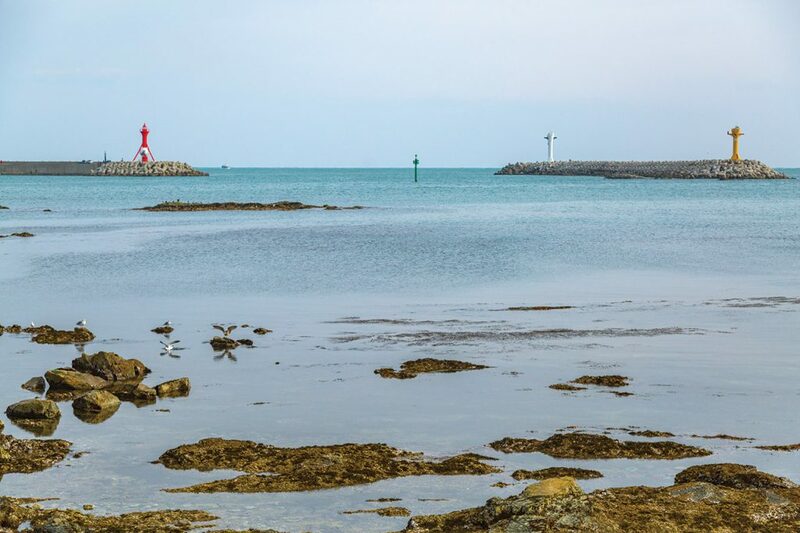 The IW Hotel offers a spectacular view of the beach and is close the Jukdo and the seafood stalls. If you are looking for something a little more luxurious, the new Hilton Hotel is the area’s premier hotel. Just recently completed, it offers unparalleled service an spectacular views. EAT> Gijang is famous for fresh seafood. 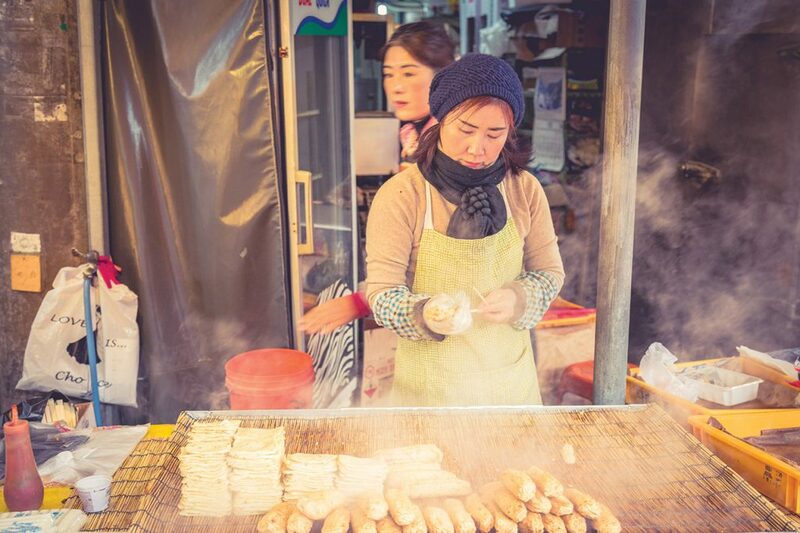 Head to Gijang Market and try some fresh snow crab at prices a little better than at Jagalchi. 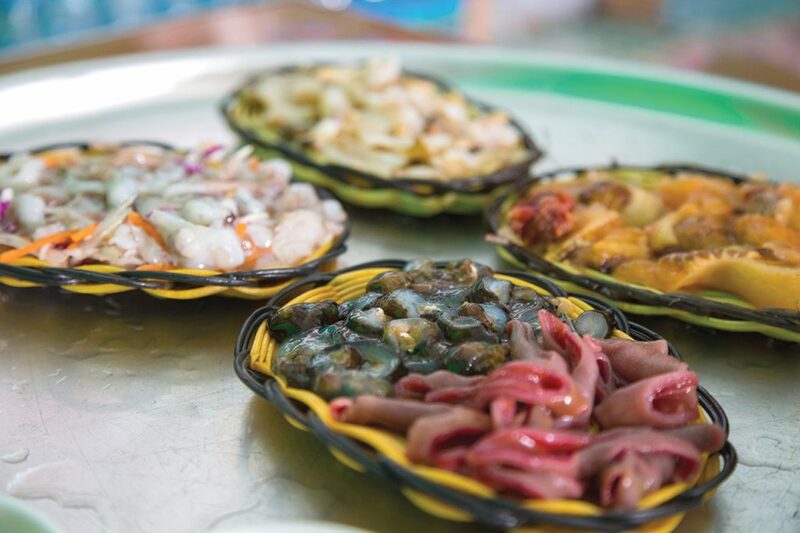 If you are looking for fresh-from-the-ocean delights, try Songjeong Halmae (010-3886-6168, tent #16, on the end). 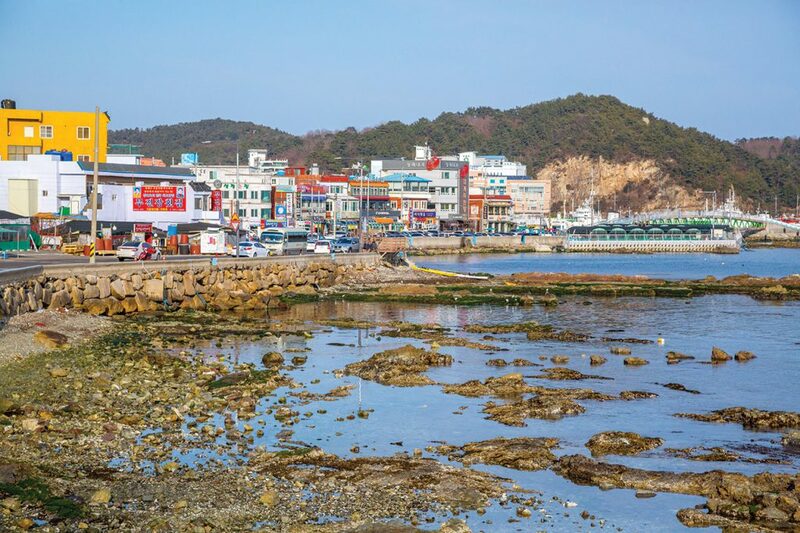 Located at the end of the Yeonhwa-ri pojang macha zone, it is a local favorite for abalone rice porridge and fresh octopus. GO> It takes about 2 hours and 40 minutes to get from Seoul Station to the Busan KTX station. From there you can jump on the train to Gijang. Buses leave regularly from Seoul to the Busan. It takes about four hours to get to Busan, depending on road and traffic conditions. Again, taxis and local buses are readily available.